Buying a house can be a stressful experience, even when things don’t go wrong. Spare a thought then for how devasted the new owners of a grand Victorian residence in Hastings must have felt when they found out that the house they had just bought needed to be demolished. Thankfully, their story has a happy ending – an award of compensation of nearly £200,000. The purchasers were Major Christopher Scott and his wife Elizabeth. Their search for a family home started in 2011 when they were living in New Zealand, where he was stationed with the British Army. 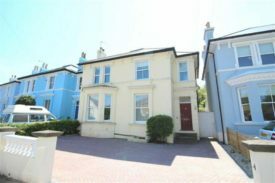 A property located very close to Mr Scott’s parents in Hastings came onto the market in May 2011. They believed it needed a fair amount of renovation and refurbishment and, very sensibly, obtained a RICS Home Buyer Report from a chartered surveyor, who inspected the property in June 2011. The surveyor identified that there had been extensive structural movement and much of the house was in a defective state. He therefore recommended the Scotts obtain a structural engineering report. Enter Mr Sheppard, a chartered engineer who qualified in 1958 and who, over the years, had conducted literally thousands of engineering inspections in the Hastings and Eastbourne area. Mr Sheppard undertook a limited visual inspection in June 2011. He noticed cracks to the superstructure had re-opened after earlier repair; that floors, although not level, were not unsafe; and out-of-square door linings and window frames needed to be reformed. He estimated the cost of remedial works would be in the region of £25,000 plus VAT. Armed with Mr Sheppard’s report, the Scotts purchased the house in November 2011 after negotiating a sizeable reduction in the asking price to £247,000. Loft conversion works started in January 2012 but soon came to a halt after a visit by a local council official who had concerns about stability. This led to engineers engaged in the works being brought in, to inspect the house. They unhesitatingly came to the conclusion that demolition was required. After a second opinion from another firm of civil and structural engineers confirmed the bad news, the house was demolished, leaving the Scotts with the unenviable and stressful task of having to fund and oversee the building of a replacement property. Concerned that there had been a negligent inspection by Mr Sheppard, the Scotts instructed an independent structural engineer expert, Mr Taylor. He inspected the house before it was demolished and found defects not reported by Mr Sheppard, most significantly walls that were tilting so much so the property should have been classified as being in a dangerous condition. In the subsequent professional negligence claim against him [Scott & Ors v E.A.R. Sheppard Consulting Civil and Structural Engineers Ltd  EWHC 1949 (TCC) (27 July 2016)], Mr Sheppard denied any wrongdoing. However, the judge who heard the case disagreed with him and found the weight of evidence, and Mr Taylor’s report in particular, led him to conclude that the structural engineer was negligent for not mentioning the tilting walls – which the judge described as severely tilting – and for failing to draw specific attention to the fact that the building may be regarded as in a dangerous condition, and require demolition. The Scotts were awarded nearly £200,000 in compensation. We offer a wide range of funding options, including conditional fee agreements (also known as ‘no win, no fee’ and ’no win, low fee’), fixed fees, legal expenses insurance, damages based agreements, as well as the standard hourly rate retainer.